No matter what system you use for cooling your house or workspace, ceiling fans always have been the cooling solution for all of us. 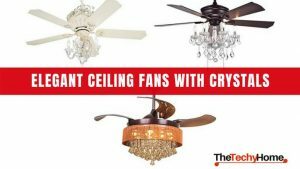 It is an economical way of air circulation and with the introduction of modern ceiling fans with amazing technology you can beat the heat of summers easily. Most new and modern fans work efficiently and provide better air-circulation that can help you replace your air conditioner as well. 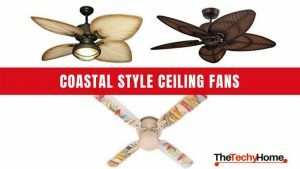 Most modern ceiling fans come in an elegant style and they compliment your home décor. They are designed to help you save on your energy bills. As they consume less power and offer great cooling experience you can think of replacing your old traditional ceiling fan. 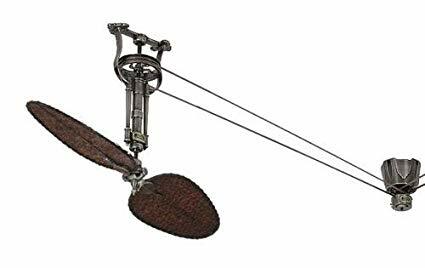 For your convenience most of these modern fans come with remote control. If you are planning to buy a new ceiling fan then consider Fanimation ceiling fans that offer better air circulation. The company aims to design ceiling fans using modern technology to provide convenience, better air circulation and better control. The creative and amazing styles come with a lot of features that will help you get better airflow. They design fans that offer air circulation for resorts, luxurious places, palaces and even tropical locations. They also design fans that offer efficient airflow to personal spaces. It is one of the stylish and modern Fanimation ceiling fans that are ideal for your kitchen or covered entrance. It is brushed nickel fan and has 9 stylish and rectangular shaped blades that adds to the creative style of the fan. The fan comes with 6 speed settings along with a feature for reverse air circulation which offers better control over the speed. To add to the convenience the fan can be operated with remote control that allows you to regulate the fan from anywhere in your room. The airflow of the fan is 10,032 cubic feet/minute and uses 35 watts of electricity. It is one of the best fanimation ceiling fans that has attractive looks with This ceiling fan comes along with a 18W LED bulb. The bulb can produce 1350 lumens as well. The total diameter of blade span is 72” and the hanging height is around 27.78. The fan is ideal for damp areas. The fan consist of a remote, Bluetooth control and it can be easily operated using TW206 -wall control. It also comes with 5 blades of 72 inch with metal coating. The Zonix Fanimation ceiling fans are pretty stylish and sophisticated. The design and elegance can go with the interior of any contemporary room. The intelligent design depicts simplicity and smartness. Anyone looking for fans with contemporary taste can opt for this fan. The fan is ideal for dry locations. It has satin nickel finish with reversible blades with shades of cherry and walnut. The fan can be used for residential properties, theme parks etc. 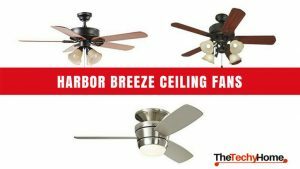 The Spitfire Fanimation ceiling fans is designed with 3 blades which is common with many other fans. But what makes it different from others is not the air circulation but the right blend of beauty, technology and contemporary design. It is ideal for damp locations. 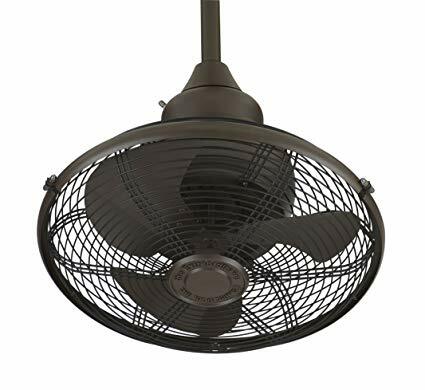 The fan comes in different textures like dark bronze, black, brushed nickel, galvanized, matte white or matte greige finish. The reversible motor is quiet and has 3 different speed settings. You can alter the direction of the fan to suit the climatic conditions. This fan is a perfect combination of design, beauty and modern technology. It is a quiet fan with 3 speed settings and reversible motor. The reversible motor helps you regulate the direction of the fan as you want and switch between updraft and downdraft mode during summers and winters accordingly. It is energy efficient fan that helps you reduce your energy bills. It has 30 inches wood blades that are carved beautifully in driftwood colour. This fan comprises of right combination of design, beauty and latest technology. It is a silent fan that includes 3 speed settings along with a reversible motor. The reversible motor allows you to shift the direction of the fan according to your need. You can change between updraft and downdraft mode to deal with different temperatures in summers and winters respectively. It is energy saving fan that helps you cut down on energy costs. It consists of 30 inches wood blades that are carved beautifully in weathered colour. The Fanimation Odyn fans are designed to provide higher degree of air circulation while consuming less electricity as compared to other fan models. This model grabs the attention of those who enter the room. Efficient and energy saving motor of this model uses 70% less power than other products. It has blade sweep of 84 inches and comes with 6 speed reverse speeds. It also comprises of a remote control plus a cap to be utilized without light. The fan is perfect choice for damp locations and there is a limited lifetime warranty on the motor. The control mode comprises of wall control and remote control. The fan is silent and the hanging system is perfect to ensure balanced hanging. The fan is wobble free and quiet. You can use in two modes downdraft and updraft during summers and winters respectively. It is a fan designed keeping in mind the ultramodern feel and finish. It also ads a contemporary style to your room to give a retro look. The fan is rated for dry locations and comes with nickel finish. The fan has white frosted glass with oil coated bronze finish. The fan comes with 3 speed settings with limited lifetime warranty on motor. The modern motor technology plus hanging system give you a balanced hanging with no disturbing sound. It is a wobble free and silent fan. It is a reversible fan with two modes that is downdraft mode for summers and updraft mode for winters. 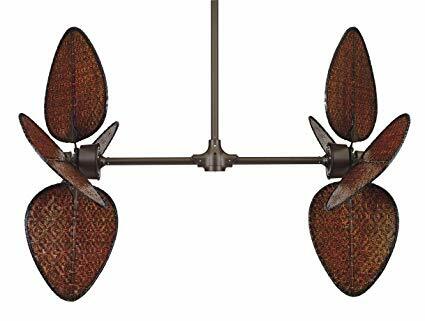 Beckwith ceiling fan models comprise of light fixtures that include Candelabra halogen frosted bulbs of 43 watts. You also get a remote control along with wall mount. This is a delicate fan perfect for kitchen, living room, bathroom, bedroom, hotel rooms, balcony, restaurants, exhibition halls, courtyards etc. This Fanimaton ceiling fan is a fusion of retro style and latest technology. The intelligent design along with sophisticated interiors makes it one of the stylish fans. This fan spins the whole fan over its base offering excellent air circulation which is distributed evenly throughout your room. The model is available in black; oil coated bronze and satin nickel finish. You can mount this fan on the ceiling up to slope of 50 degrees which also comprise of a downrod of 6 inches. It is a great option for damp and dry locations. The Palisade brought to you by Fanimation offers a different touch to the interiors. It is one of the best selling fans because of its excellent quality and creative style. Palisade is different from the other models because it runs dual fans vertically instead of horizontally. The rotation of dual fans vertically forms an appealing and stylish vision which cannot be seen in other fans. 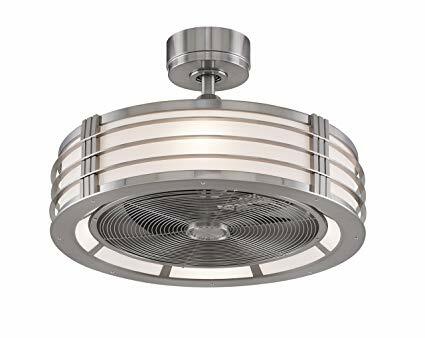 The fan is designed especially for rooms having tall ceilings and it uses a bracket plus a ball in hanging system to facilitate the slope of around 40 degrees. The Brewmaster Fanimation fans are belt-driven classic fan that comes with gear free direct drive powerful motor. It has coated ball bearings along with hardwood coated blades. The Brewmaster comes with pewter and antique brass finish. It is also available in black finish and ideal for damp areas. The motor can operate nearly 4 fans. For better performance 2 fans are recommended per motor. The model runs on 3 reverse speeds and 3 forward speeds and comprise of 2 traditional and 2 wood blade holders. The fan is unique in its own way and comes in a chic style. The brush nickel finish gives it a sophisticated look along with 3 hand crafted buttonwood blades that come with natural finish offer an artistic appeal to the décor. The fan consists of a remote control along with reverse features that helps you regulate the fan from any spot in your room. The fan comes with a brush nickel, matter greige, dark bronze and matte white finish. Therefore, you will be provided with the ability to install the fan in any given place around your home. It can introduce a unique look and feel to your home along with an enhanced level of elegance. This fan has got 52 inch blades as well and it can provide coverage for a bigger area. The Xeno Wet ceiling fan comprises of dimmable energy Star and it comes along with a bright LED light. Hence, you will be able to stay away from purchasing an additional LED light. The fan is ideal for wet locations and comes with a handy remote and Bluetooth control. There are 3 blades of 56 inches with brushed nickel finish. It also includes kit, which contains LED light along with 3 speed powerful motor and the fan is resistant to weather conditions. The fan is ideal for wet locations and comes with a handy remote and Bluetooth control. There are 3 blades of 56 inches with brushed nickel finish. It also includes kit – LED light along with 3 speed powerful motor and the fan is resistant to weather conditions. It also includes kit – LED light along with 3 speed powerful motor and the fan is resistant to weather conditions. 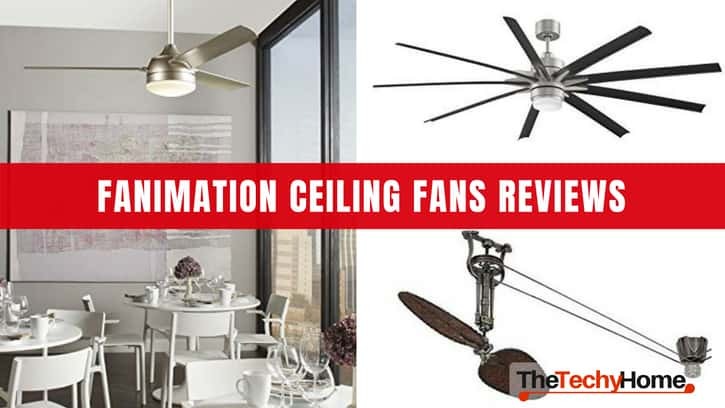 The Fanimation ceiling fans are made to suit your air circulation needs as well as they are super stylish and elegant to suit your home décor. 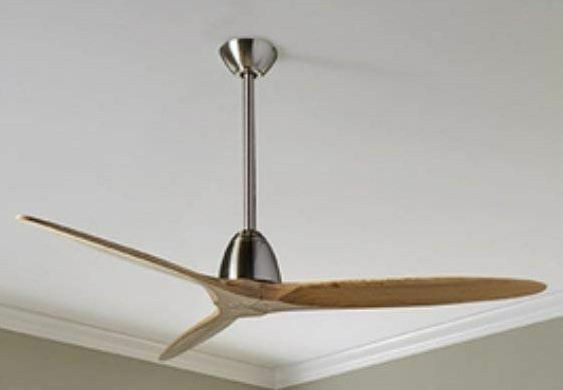 Fanimation has been designing ceiling fans to cater to large spaces as well as small locations. The different models designed suit different weather conditions and they all are energy efficient. When you think of buying a Fanimation ceiling fan then you not only look for efficient air flow but also the designs they have to offer. You can buy one that suits your home décor. You also get models that are construct using weather resistant materials. Fanimation ceiling fans provide all the comfort you need and they also contribute to the environment as they are energy efficient. You can save a lot on your energy bills switching to Fanimation fans. You can experience the combination of elegance plus latest technology that not only provides comfort but also takes care of your home décor. There are traditional as well as chic models where you can find the mix of historic designs and traditional designs. The modern technology makes it efficient and the powerful motor that each model has gives you better air flow in your room. While you are sitting in your room with Fanimation ceiling fan turned on you will never be disturbed with the noise as these fans are quiet and runs smoothly. 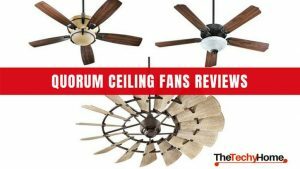 The overall experience using these fans will be satisfactory as it has all the components that a ceiling fan should have. 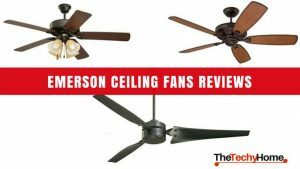 Indeed the concept of ceiling fans is taken beyond just the regular ceiling fans that you used to purchase just to get better air flow. 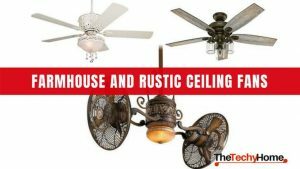 Now, it is about comfort of operating the fan right from wherever you are seated in a room with the help of a remote control and certainly when the fan is turned OFF, it gives your home décor a new makeover.